If you buy that thru a North American distributor, they list it as $8800~. 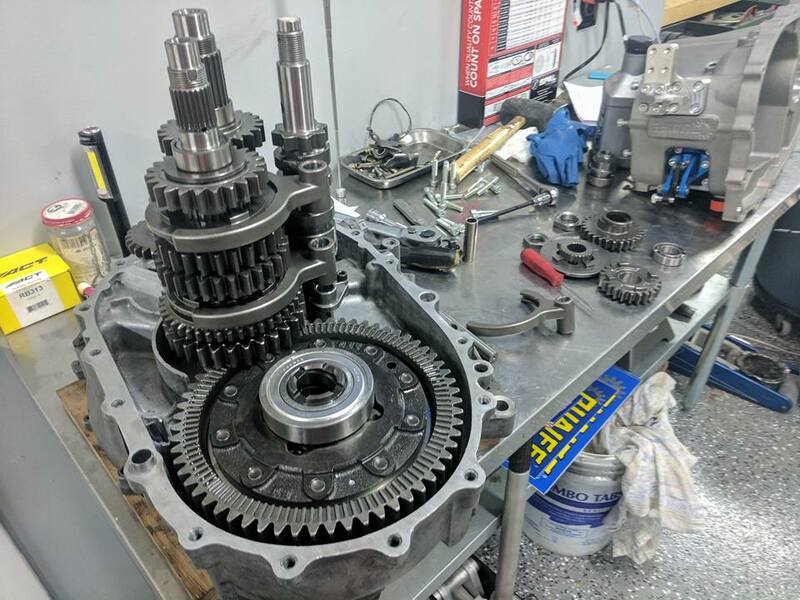 I bought mine from Momentum Motorsports in the UK, they list it as 4950gbp... with Brexit, the USD:GBP is insanely good, and I bought my gearbox at $1.21:1gbp. Add in shipping and import tax, and it was roughly $7000. If you have a K series gearbox, especially one with a LSD diff, then your costs are done. If you don't, then add in costs for a bellhousing, diff, etc, etc. I thought the clutch was for downshifts only. And I thought the clutch was only for starting off from a rest. We need Driven to clarify! I think that is how most sequentials work. I just watched the vid and he is clutching downshifts. Driven do you still have to heel/toe? NICE VID BTW! I wonder if I can put the same setup into my MR2 Spyder. K-swaps are common now and it would weigh in about the same. I have seen a turbo K24 swap, but not with a sequential gearbox. What sized tires do you run on that noble? Really depends on what GCU you use for the gearbox. Ultimately, you're trying to release some tension on the dogs so they can be disengaged for upshifts/downshifts. Upshifts: Easy... you're already on the throttle, so you need something to cut power for a split second so the dogs release tension and you can shift. Downshifts: More complicated because you can't just cut power, since you've already braking and shouldn't be on throttle. So, you can clutch in and shift... or less smooth, blip the throttle. The GCU COULD control downshifts, but it becomes a bit more complicated. Heel/Toe your downshifts isn't necessary... you could, but you're more likely to mess things up. How the whole system works with the Geartronics is it uses the GCU, a load cell (either a shift knob or inline load cell attached to the shift cable), and a potentiometer (mounted to the shift drum of the gearbox, either magnetically or physically). 1. On throttle, you pull on the shift knob which activates the load cell. 2. Load cell tells the GCU that you want to do something. 6. GCU sees the shift has been completed, reapplies power. If you fail to complete the shift, the GCU will reapply power after a set parameter (mine is 500ms). KPro can kind of achieve the same effect as the GCU, but uses fuel cut instead (less good). Standalone ECUs have options too... but it seems a lot just run with the GCU to keep the systems separate. NICE VID BTW! I wonder if I can put the same setup into my MR2 Spyder. A few spyders have done it. Just mounts, axles, wiring, and custom exhaust manifold. Thanks Driven you're the Man! Turbo AP2 Front End Destroyed...but not the rest! First time driving manual car.